The rich floral aromas of bergamot, rosewood, frankincense & cardamom combine beautifully to calm the spirit, while soothing and balancing your emotions. See more info. Emotional Rescue gives your body the most relaxing bath, as the tension & anxiety fall away, your body, mind and soul will be rejuvenated and you will emerge feeling refreshed and calm. After your long soak, massage in our beautiful Sensual Tantric oil, you will feel exotic. 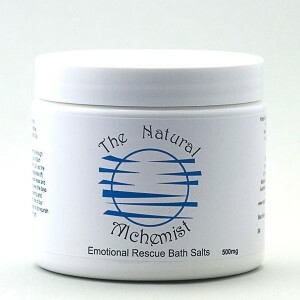 Ingredients: Epsom salts. Essential oils: Bergamot, rosewood, frankincense and cardamon.